The Air Jordan 1 has taken on all kinds of shapes and sizes over the years. 2018 however, has been a little different for the timeless silhouette. Check out the unique new “No L’s” pair, expected to launch later this year. The Air Jordan 1 is timeless, plain and simple. There is just no arguing as to its impact on not only sneaker culture but sports and fashion around the world. Since its inception in 1985, the Jordan 1 has seen plenty of changes and colorways. From low-cut models to Virgil Abloh’s deconstructed take, the Jordan 1 has almost done it all. This month, a never-before-seen pair surfaced online, featuring quite possibly one of the most intriguing designs yet. The Air Jordan 1 High “No L’s” is a very special version, that happens to also feature strong references to past releases. 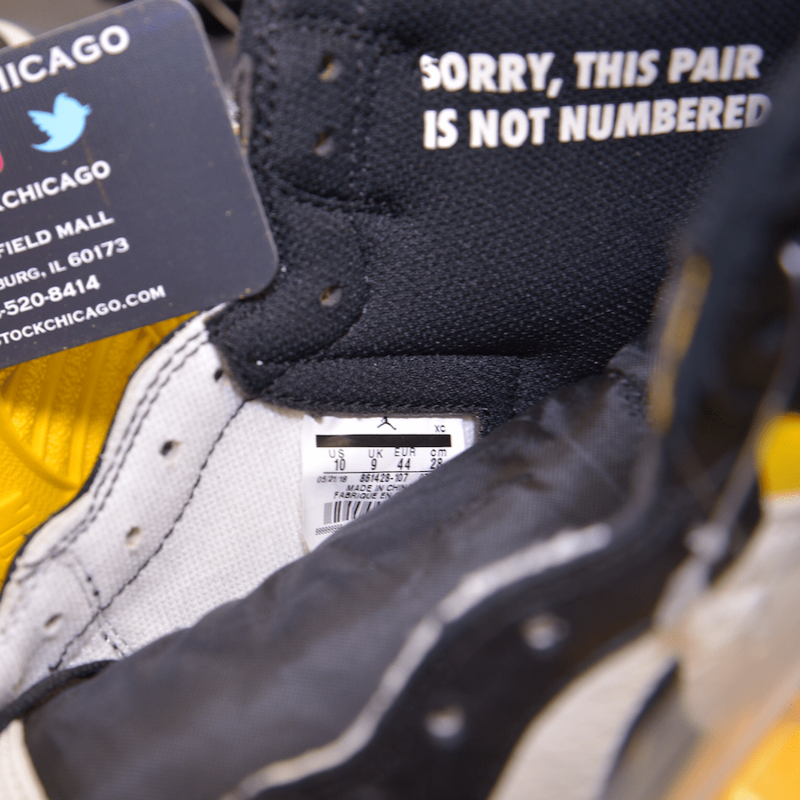 The black, white, and yellow color scheme is relatively understated in blocking, appearing most similar to the “Black Toe” pair. 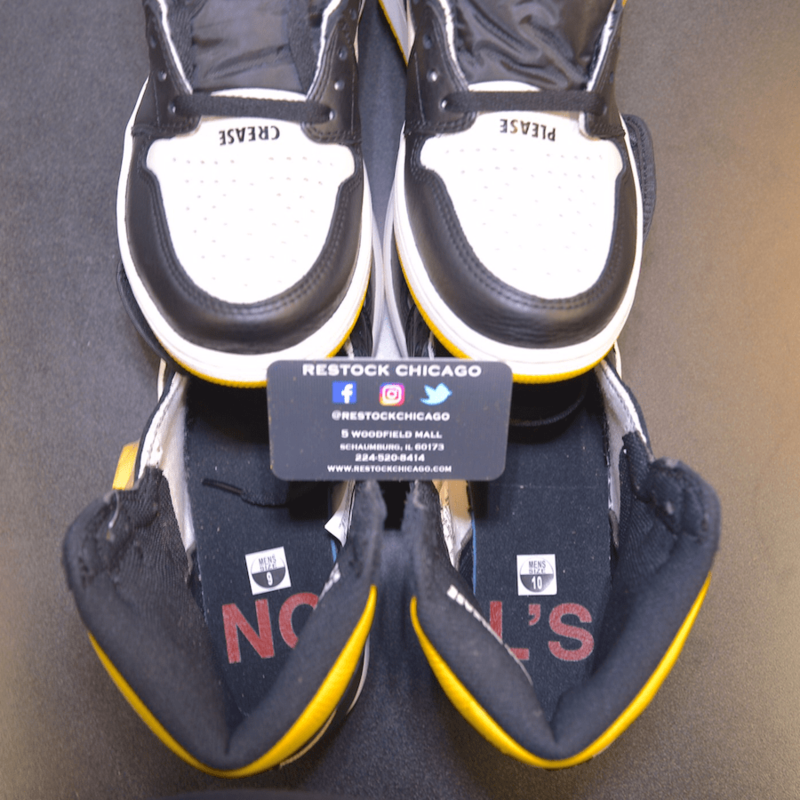 The most eye-catching part of this shoe is the writing, however, which can be found on nearly every piece of paneling. Each phrase is somehow connected to the theme of not reselling your shoes, a thing that sneakerheads, in fact, do very, very much. Some of them say things like “NO PHOTOS”, “NOT FOR RESALE”, or “CREASE ME”, obvious nods to wearing your kicks until they’re dirty. The next wild new Air Jordan 1 Retro High OG to surface online is now expected to launch sometime in December 2018. The Jordan 1 “No L’s” will retail for the usual $160 and will likely release in somewhat limited numbers. 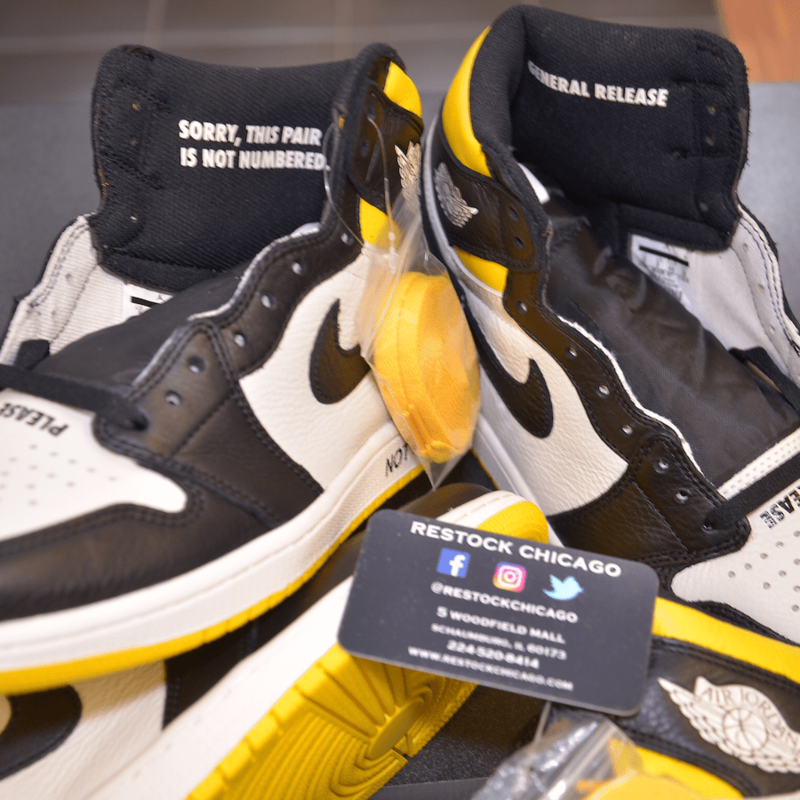 Check out the early images below for a better look, and stay tuned to JustFreshKicks for more Air Jordan 1 release news. 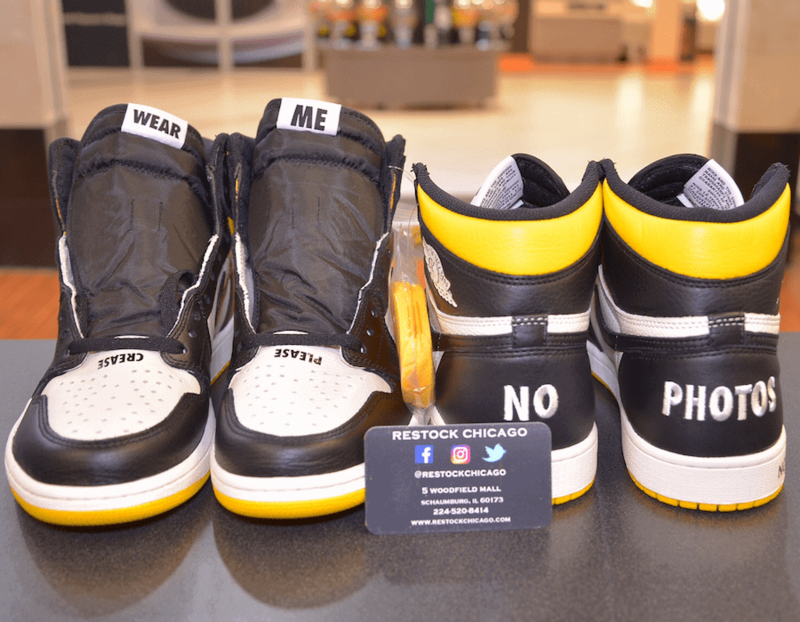 The post The Air Jordan 1 High “No L’s” Surfaces in New Images appeared first on JustFreshKicks.